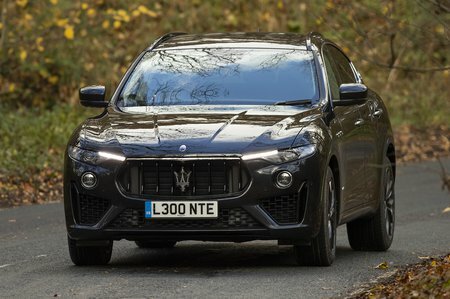 Maserati Levante V6 5dr Auto 2019 Review | What Car? Standard kit includes climate control, leather seats, a touchscreen infotainment system with Bluetooth, a DAB radio and sat-nav, reclining rear seats, air suspension and an electric tailgate. Additional luxury, convenience and sportiness is available with option packs or individually. Sitting between the diesel and V6 S in the range, this 345bhp turbocharged petrol engine will prove fast enough for most folk, but is barely any more efficient than the 424bhp version of this engine.